Requirements: Compatible with iPhone, iPod touch, and iPad.Requires iOS 4.3 or later. A few months ago, I was introduced to a game that was “similar to the Legend of Zelda gameplay”. Naturally, as a huge Legend of Zelda fan, I was intrigued. However, I’ve had past experiences where a game was “similar”, but the reality of it was that the game…wasn’t. 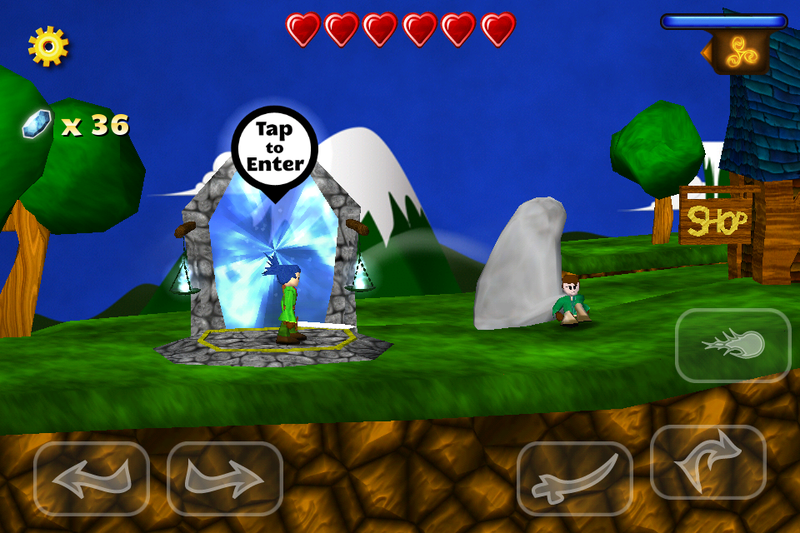 Explore a magical realm of dungeons, towns, treasures and devious monsters. Gain experience and level up your character. 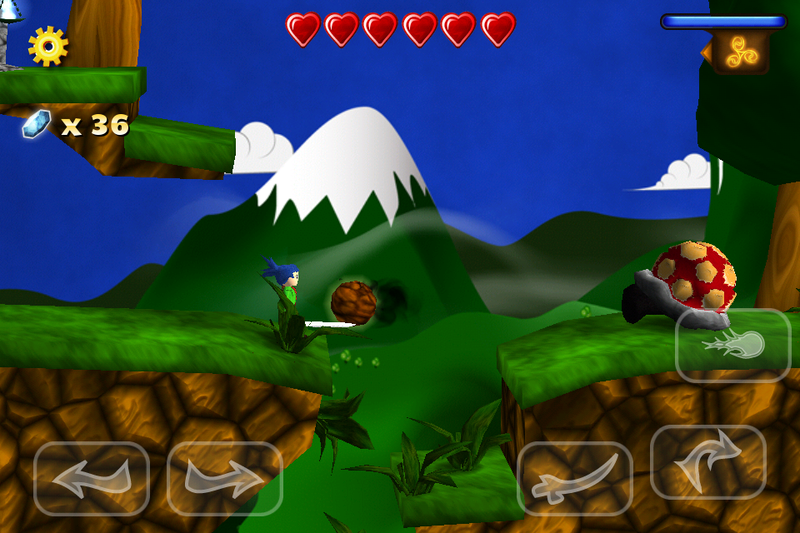 Find powerful weapons, items and spells to defeat your enemies. Venture into gloomy caves and dungeons illuminated by the atmospheric dynamic lighting system. Precise touch controls designed specifically for iOS. Customize the controls to your preference. Game Center and OpenFeint Achievements. Use iCloud to sync saves between the iPhone, iPod touch and iPad. Retina display support for both the iPhone and the new iPad. Well, the description alone is very similar as to how any Legend of Zelda game is played. Curiosity got the better part of me, so $1.99 and a few minutes later, I was ready to play this on my iPhone 4. 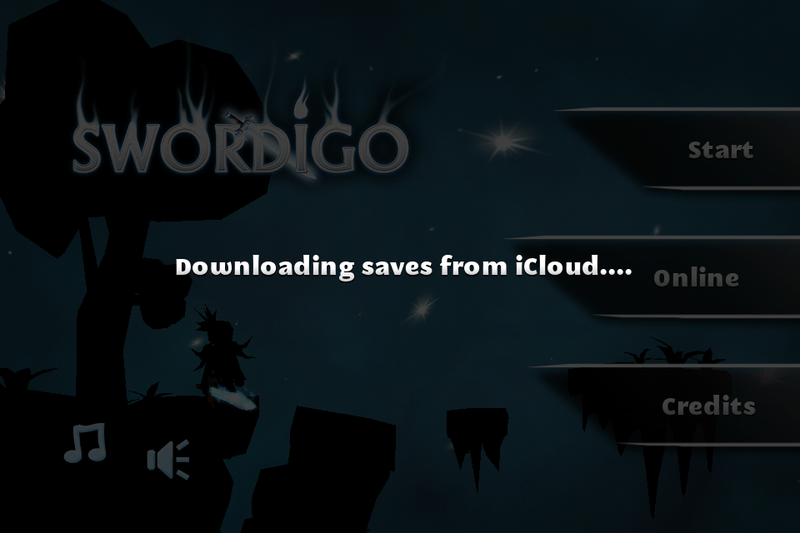 Since the game is iCloud-enabled, it saves automatically throughout the duration of gameplay. This is especially helpful, considering we have an iPad 2 and iPod touch in the house, and so I can play this on any device and pick up where I left off. 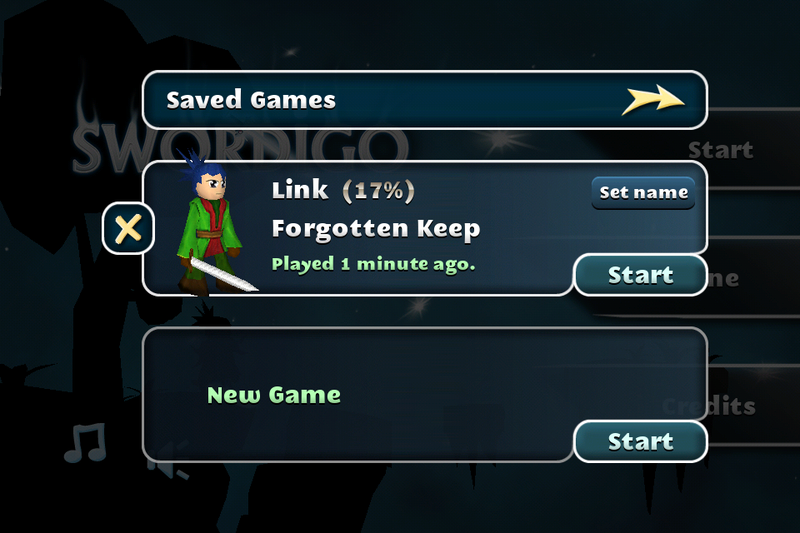 Once I was able to tap on Start, a dialog prompt gave me a choice to either continue from my saved game, or start a new one. As you can tell in the shot below, I really, really like the name Link. What’s the plot, you ask? Well, you’re a young boy that wakes up one day and you realize your master is missing. You set out on a quest to search for him, only to find out he’s been killed. Your goal is to seek revenge and save the world, while assembling a master sword that’s been scattered throughout the land. The gameplay itself is very self-explanatory. 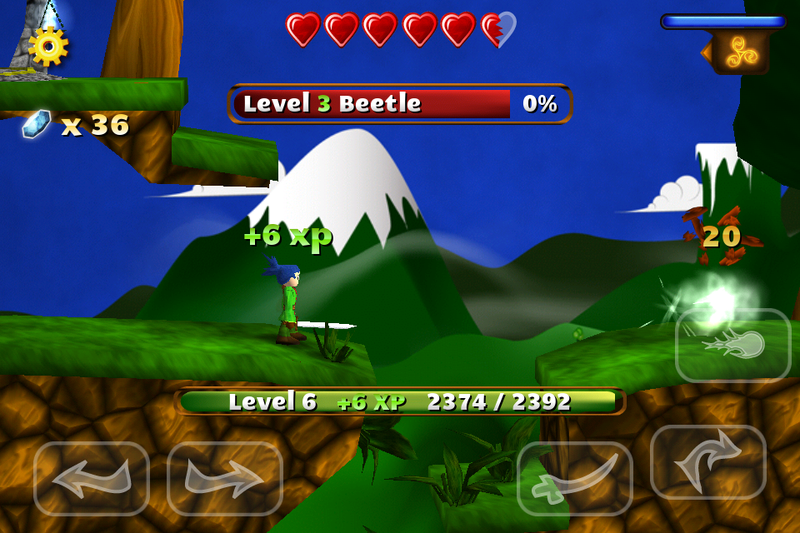 You have on-screen controls for backwards, forwards, jump, use sword, and use magic. There is also an on-screen indicator of how much life you have, in the form of hearts. The controls are very customizable as well. And yes, collecting “gems” as currency is also part of the story line. There are many enemies scattered throughout the game. Some are simple to kill, such as the spider, while others are little tougher, such as the giant spitting beetle. There’s even a few man-eating plants in various spots of the game. As you can see above, it’s difficult to take a screen capture and avoid being hit by this enemy. 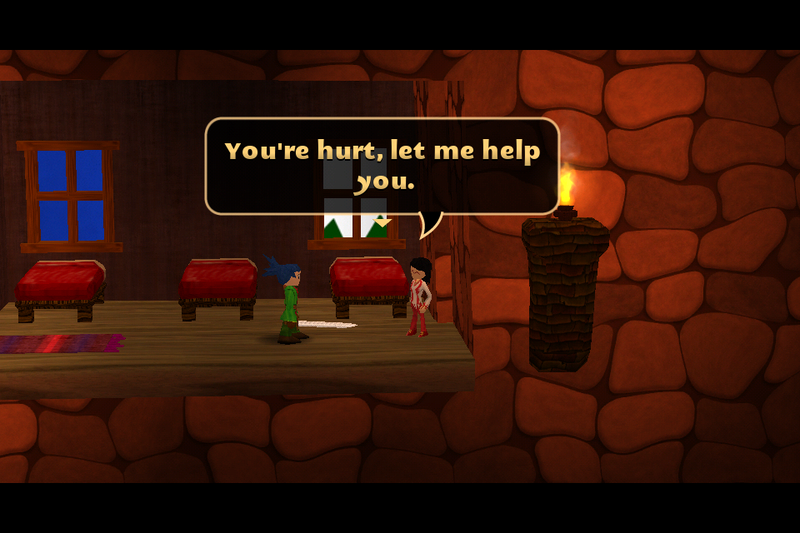 Luckily, as in the Legend of Zelda games, there’s a spot my character can travel to and become healed. From the first time I downloaded and played this game, 2 hours of my life disappeared. Sure, there aren’t any maps to help guide you throughout the game. However, I found myself doing what I do best in games like this: exploring the different lands and learning what to do and where to go, and how it will all affect my character. 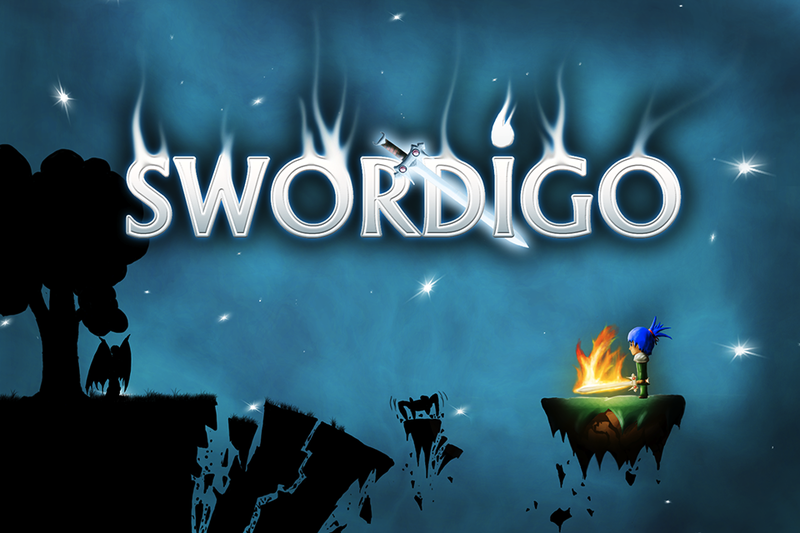 That’s how I learned to play Legend of Zelda, and that’s how I played Swordigo. 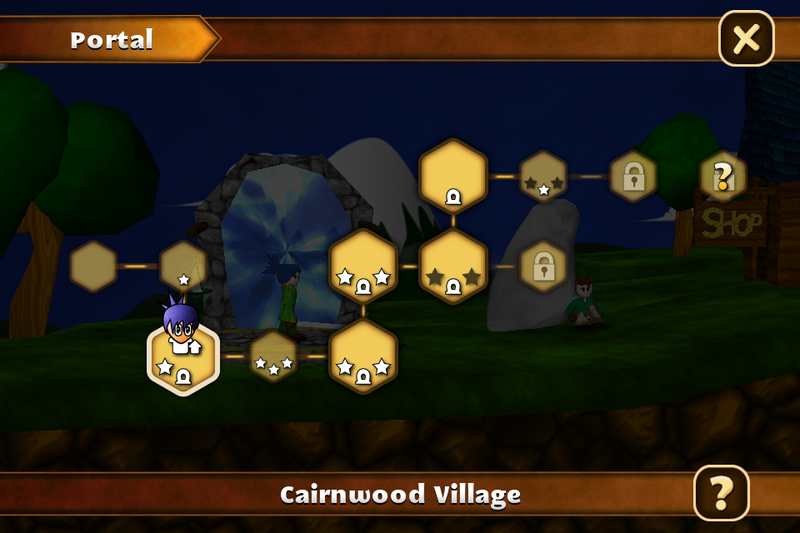 With many “mini” quests to help keep you busy, it’s easy to see why Swordigo contains portals to different realms. I found myself constantly going back and forth to get healed, or to purchase extra potion in case I came in contact with a boss that was difficult. I can go on and on about what to expect in this game, but it’s not fair to you, the reader, to have to sit and stare at your screen when could be playing this wonderfully crafted game. So, with that in mind, get yourself over to the iOS App Store and download the game. Disclaimer: I’ve played the game and actually beaten it. The screenshots taken above were from a previous game saved that I used for the purpose of this review. I spent a whole weekend playing this game, and even time on break at work. I don’t know how many hours I put into this game, but I can safely say it was over 14 hours.